The glazing of the sink surface provides both durability and shine over long periods of time. The raw material used (fine fireclay) allows for uniformity in the finish. The sinks glaze is practically impervious to threatening bacteria from food preparation. Stains do not penetrate the glaze and can be easily wiped away. Acids and chemical cleaners have virtually no adverse effect on sink. 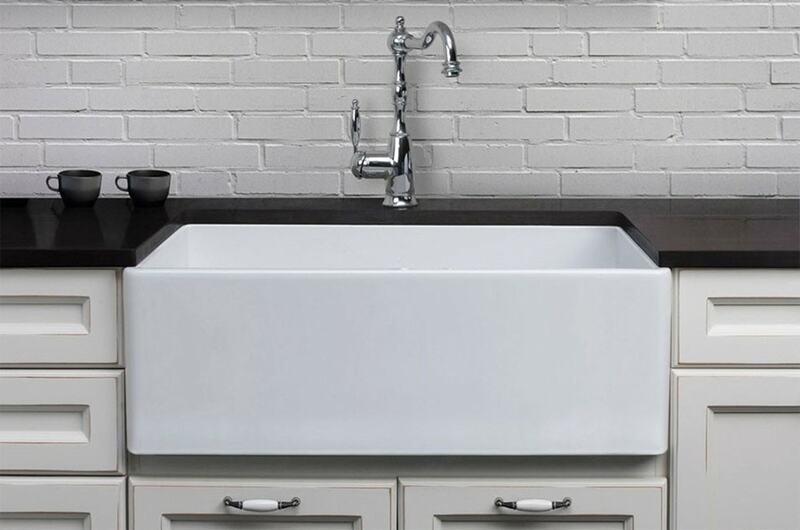 Coffee stains cigarette burns and other daily occurrences that would adversely effect kitchen sinks made from other materials are easily wiped away on fireclay sinks. 1 Year agains manufacturing defects, 10 year warranty against fading and staining of the glaze.